A fifth Copt has been murdered in Egypt in six weeks, aggravating fears among Christians that Islamist extremists are targeting them with impunity. Nadra Mounir, 26, was found dead in her flat in Cairo last Thursday evening (6 July), and religious icons in her home had reportedly been desecrated. Her death follows the killings of four other Coptic Christians since the end of May, which one priest said was part of “the most aggressive campaign against [the Copts] in the history of modern Egypt“. In February Islamic State vowed to “wipe out” Egypt’s Copts, though no group or individual has claimed responsibility for these latest incidents. Mrs Mounir, an active member of her church and a member of the choir, returned to her second-floor flat in the impoverished Christian-majority suburb of Zarayeb Ezbet Al-Nakhl, after attending a revival service. 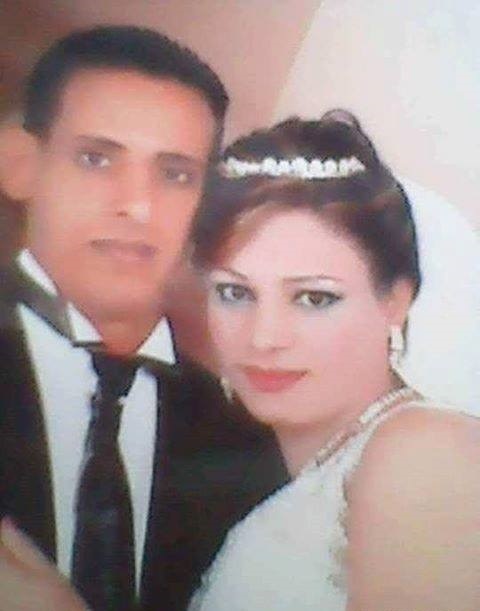 Her body was found by a Christian neighbour, Heba Nagy, who told World Watch Monitor: “We – some neighbours and I – heard strange sounds coming out from Nadra’s flat. We headed to her apartment to see the matter, we found Nadra lying on the floor, drenched in blood. “There was a large wound to the front of the neck, her hair had been cut off and all the Christian icons which were hanging on the walls of her flat were torn apart,” she said. They called the police, who searched the flat and took fingerprints. “There was money and Nadra’s jewellery in the bedroom wardrobe. The fact that nothing was taken shows that their aim was simply the murder,” she added. Mrs Nagy said that a man who lived on the first floor told her he saw two people he did not know running down the stairs from the second floor and out of the main door of the building. One was reportedly wearing a niqab, or full face veil, and the other a galebaya, a traditional robe commonly worn by rural Egyptians. In cosmopolitan Cairo the galebaya has become popular with pious Muslims and Islamists such as Salafis and members of the Muslim Brotherhood. Mrs Nagy suggested that the pair carried out the murder, and must have known Mrs Mounir’s movements because they went to her flat at a time when her husband, Girgis Samir, was not at home. Commentators say the cutting of Mrs Mounir’s hair could signal that the perpetrators wished to intimidate women who do not wear the veil. Police have not issued a statement or made any arrests in conjunction with the murder. Mrs Mounir’s body was taken to a morgue in Cairo for a post mortem. Her family received her body on Saturday, 8 July, and she was buried at the family cemetery in Manflout, Assiut in Upper Egypt. In May police reported that an unknown man attacked three Coptic girls who were wearing trousers as they walked home from a church in nearby Ezbet al-Nakhl. They suffered burns on their legs after the man aimed a chemical substance at their trousers.